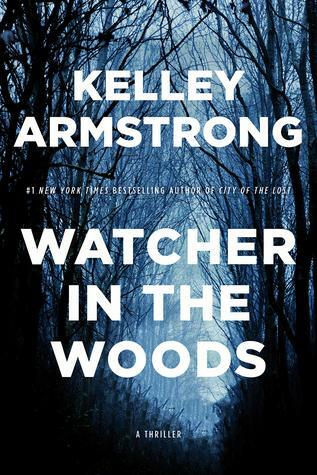 This is the fourth in this series by Kelley Armstrong. I’m quite sure you won’t find the town of Rockton on any map. And that is by design. Deep in the Yukon inside Canada, this is a place with secrets. A lot of them. Only one person knows everyone’s back story and that is the Sheriff, who also happens to be the boyfriend of the only detective in town. In the tiny town of 200, there is also a time limit for staying. And rules. Lots of rules. The people who come here are running away from something or someone or they are just straight up criminals who need to disappear for a bit. Governed by the mysterious Council, who decides which people get in and which people need to get out. In the short year Casey Duncan has been detective here she has seen it all. Murder, arson, love and a place to call home. When a man claiming to be a US Marshall appears in town wanting one of their residents, but not saying who that is, Casey and the Sheriff are skeptical to say the least. First, he isn’t in the US and second how did he know about this town? It’s not like there are any modern conveniences. No cell phones, no internet, and they aren’t exactly advertising. When the Marshall is killed everyone in town is a suspect. And all they know is that there is a killer among them. But since no one uses their real name it is going to be difficult to narrow the field. This is such an interesting series. You think you know something, but you are probably wrong. I was. Many times. This book gives us a new character and things could get very interesting with him. I can’t wait to find out how this plays out! I love this series and I’m happy to hear that the new installment is good as well. I love this series and the new character is very interesting!! So glad we both enjoy this series! This sounds so interesting. Do you think a person needs to read the series or does this book stand alone? What a fascinating mystery! It sounds like a wonderful book. Sounds good. I’ll have to check this series out.